If you are a pet owner, you will unfortunately face the time when your pet will need an expensive procedure or your pet may be diagnosed with a disease that will require regular medication, or perhaps require surgery. If you are not financially prepared for these events, it can leave some families either with a very large bill….or a very hard decision. Some pet owners elect to purchase pet insurance in the hopes it will help them be able to afford future health issues for their pet. Here are some things to consider as you research pet insurance companies. Look to see if the plan uses a benefit schedule. Insurance companies will often list a maximum amount they will pay per diagnosis. This schedule will allow you to compare the max amount the insurance will cover (often shown as a percentage) and the amount your veterinarian charges. If there is a gap in the price, you will need to pay the rest yourself. These are often the easier plans to understand and know what is and what isn’t covered and what your out of pocket will be. Are you able to go to your vet. There are some insurance plans available that only allow you to see certain veterinarians and do not allow for specialists or second options. Are wellness items covered? Look for a plan that will cover your health and wellness care items such as annual wellness exams, vaccines, heartworm and flea prevention, dental cleanings, etc. Some plans may cover these items or only a limited few. Check to see if they cover genetic conditions. Many breeds have specific genetic conditions they are prone too and some insurance companies do not cover them, conditions such as hip dysplasia, which large breeds are most prone to, may not be covered. Look for per-incident caps. This can mean that if your pet has an injury or illness that will take multiple surgeries or treatments, they may limit the amount they will cover, leaving the rest to be paid from you at 100%. Having pet insurance is certainly a valuable tool to help families financially afford those unexpected injuries as well as everyday health and maintenance. Make sure you take the time to find the right plan that works for you and your pet. 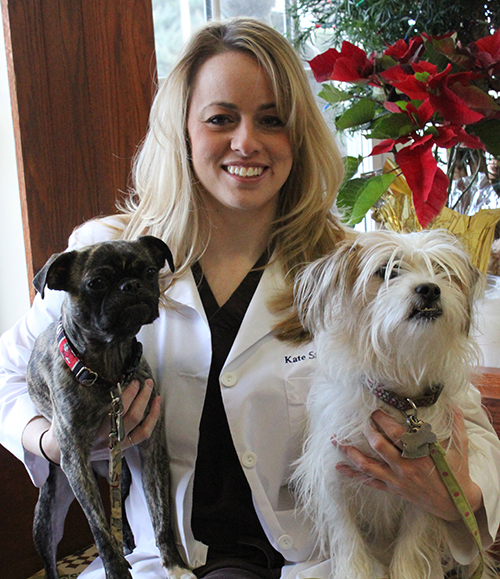 Give us a call today to schedule an appointment with our knowledgeable Washington, DC veterinarian to discuss your pets health and any concerns you may have at 703-356-5000.